Milngavie on the edge of Glasgow. Will fly to Glasgow on Monday 8th May 2017. 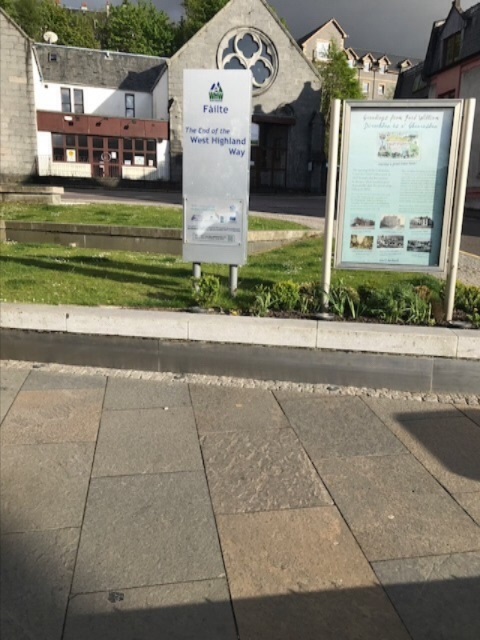 On Tuesday 9th May will begin my walk at Milngavie. Will walk the 96 miles to Fort William on my own. 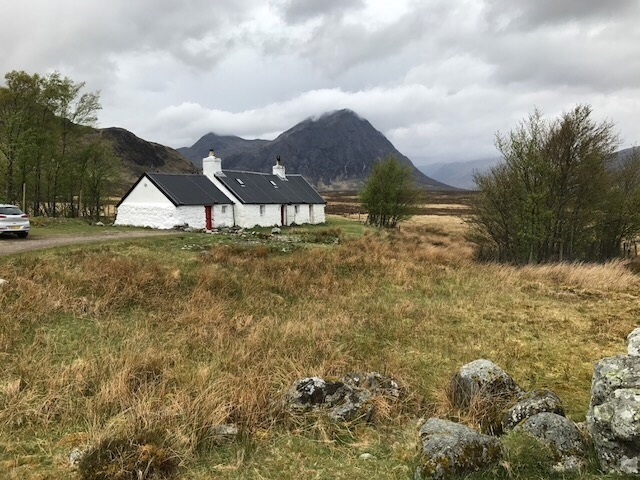 Am due to complete the walk on Sunday 14th May. On Monday 15th May I intend to climb Ben Nevis. 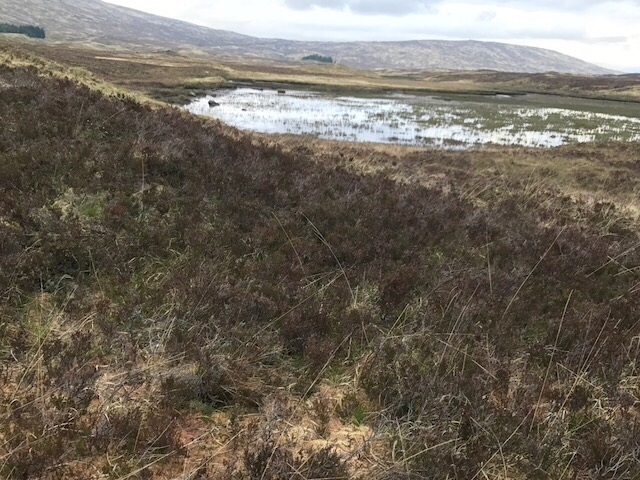 Will return by train to Glasgow on Tuesday 16th May: then on to Edinburgh and Innerleithen; with RCET Committee of Directors meeting in Edinburg, Wednesday 17th May. This will be a sponsored walk on behalf of the Royal Caledonian Education Trust (RCET). The route is rich in historical associations. Walking along the side of Loch Lomond I shall make references To Walter Scott's 'Rob Roy'; crossing the Moor of Rannoch will compare my experience with that of David Balfour and Alan Breck in RL Stevenson's 'Kidnapped; andd at Glencoe revisit John Prebble's account of the February 13th 1692 massacre. Will blog each day from Tuesday 9th to Tuesday 16th May. 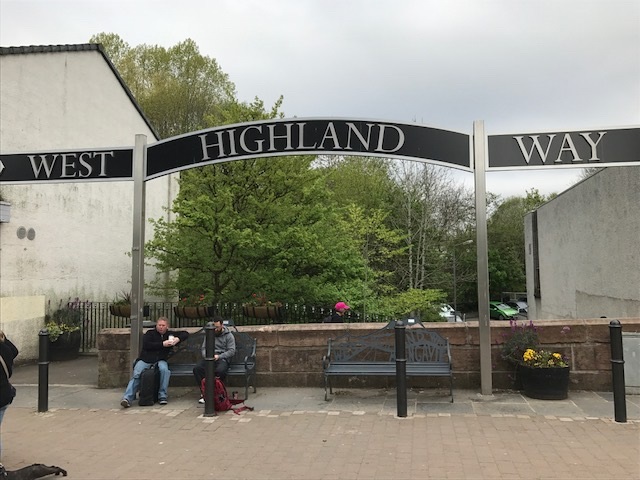 Day 1 - Tuesday 9th May Milngavie to Drymen 12 miles. This section starts with a stroll through the Murdock Country Park. There is then something of a gentle climb as the path leads towards Loch Lomond. 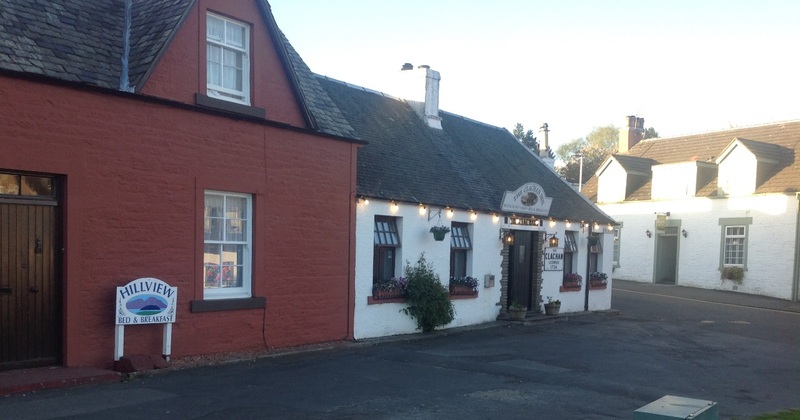 The photo below shows my b&B accommodation right next door to the Clachan Inn: the oldest licensed public house in Scotland. Ben Lomond overlooking Rowardennan on Loch Lomond. Sir Walter Scott's poem is set in this country between the Trossachs around Loch Kathrine and Loch Lomond. In the early 15th century this was 'bandit country': lying as it does, just south of the Highland Line. The poem tells of Roderick Dhu a rough Highland Chieftain. The poem was st to music in 1810. The tune 'Hail to the Chief' is played every time an American President appears on a formal occasion. The 'Chief' in question though was Roderick Dhu. 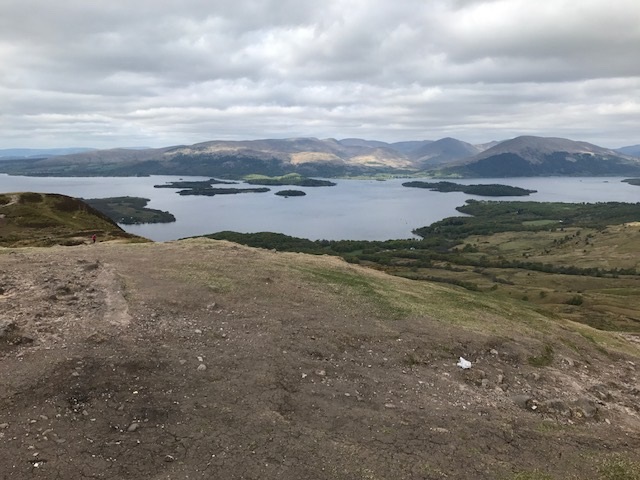 Day 2 - Drymen to Rowardennann and over Conic Hill. lots of fine views over Loch Lomond. Met and talked with many interesting walkers. There were the three American girls, walking in memory of their late mother, two Austrians, two Germans and a number of English men and women. Hard going along the loach side especially. No real path and much clambering over rocks.The last 7 miles from Inveranan was fine. Got to Cranlarich nearly 10.00 pm after 13 hour walk. The small hamlet of Inversnaid lies 7 miles along the Loch side froM Rowardennan. This is Rob Roy country. ' The lofty peak of Ben Lomond, here the predominant monarch of the mountains, lay on our right hand and served as a striking landmark. 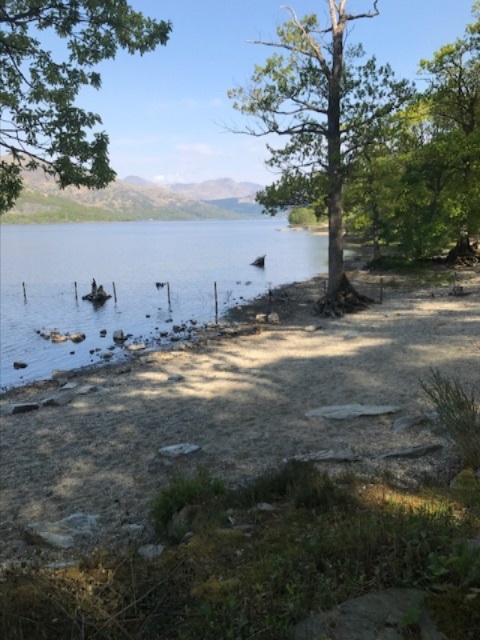 The eastern side of the Loch, particularly rough and rugged, was at this time the chief seat of Macgregor and his clan, to curb whom a small garrison had been stationed in a central position between Loch Lomond and another Loch. The extreme strength of the country, however, with the numerous passes, marshes, caverns, and other means of concealment or defence, made the establishment of this little Fort seem rather an acknowledgement of the danger than an effectual means of securing against it' - Francis Osbaldistone. Exactly so, still 'rough and rugged''. Rob Roy - 'Do not maister or Campbell me. I am on my native heath and my name is MacGregor'. Sir Walter Scott - Rob Roy. 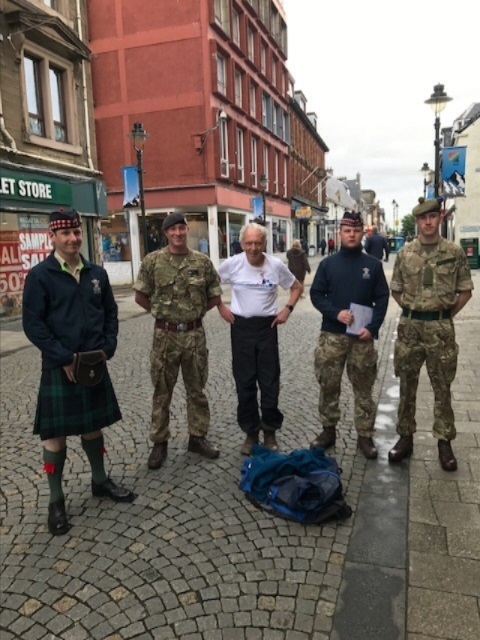 Day 4 - 14 miles from Crianlarich to Bridge of Orchy. 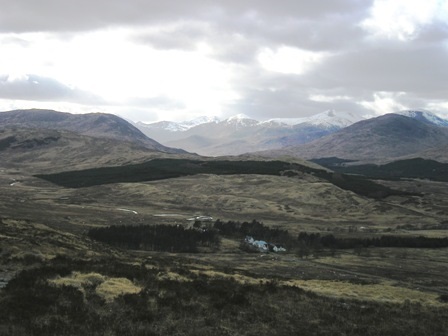 After Tyndrum high mountain country and walking along General Wade's rough roads fro around 1719. Three of the US 'Highland Four' and me at Bridge of Orchy. Day 5 - Bridge of Orchy to Kinlochleven.Walked 21 milles arriving 8.00 pm. Davjid Balfour - Kidnapped: on Rannoch Moor. The end of the walk at Fort William. With 2Scots at the finishing line. 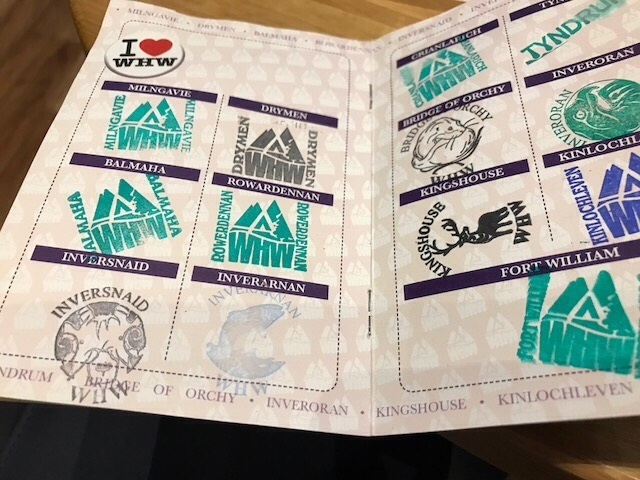 Official passport for the wak: all stations stamped from start to finish. * Followed by 34 people on Facebook with likes and encouraging comments. * Donations to RCET as at 17th May £652. 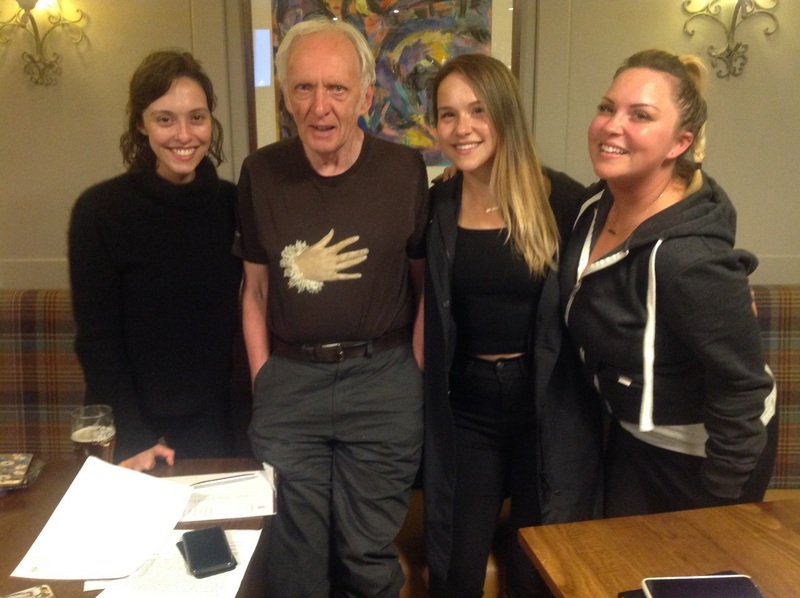 * Photo with most likes (21) - me with the three American girls. * I did it in 6 days. Apart from the three American girls, and two Scottish nurses everyone I met took 7 or more days. * Most difficult stretch - roughly 12 miles between Rowardennan and Inveranan day 3 along the loch side; arrived at Crianlarich, my destination, just before 10.00 pm. * Historical references were to: Sir Walter Scott's Rob Roy; R.L. Stevenson' Kidnapped; John Prebble''S Massacre at Glencoe; John Buchan's Montrose (on the battle of Inverlochy). * Enjoying - 'To travel is much better than to arrive' RL.L. Stevenson. * Crossing the finish line - 'There must be a beginning of any great matter but the continuing unto the end until it be thoroughly finished yields the true gmlory'. Sir Francis Drake.